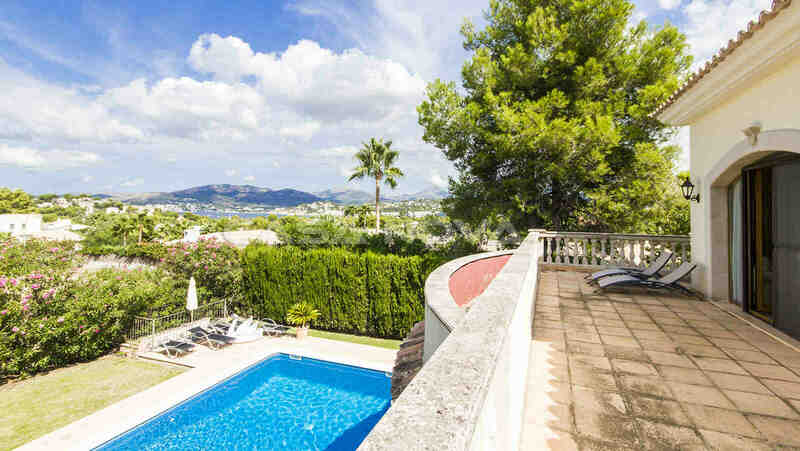 Real Estate Mallorca : This Mediterranean villa Mallorca is located in a quiet and very popular location of Nova Santa Ponsa. 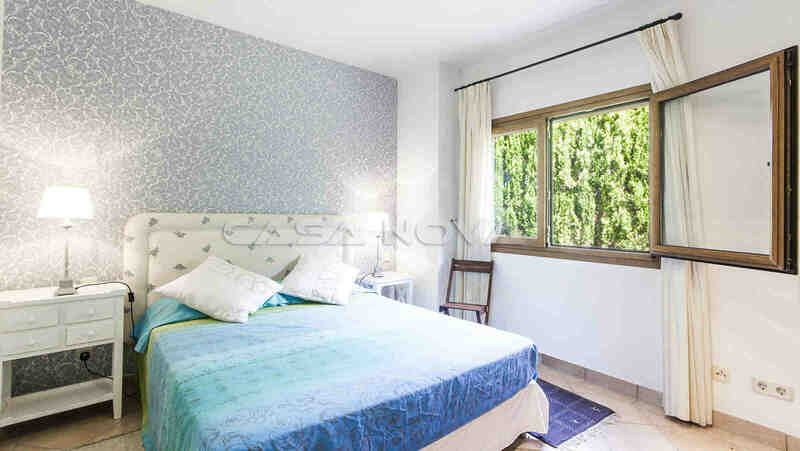 The villa is situated on a plot of approx. 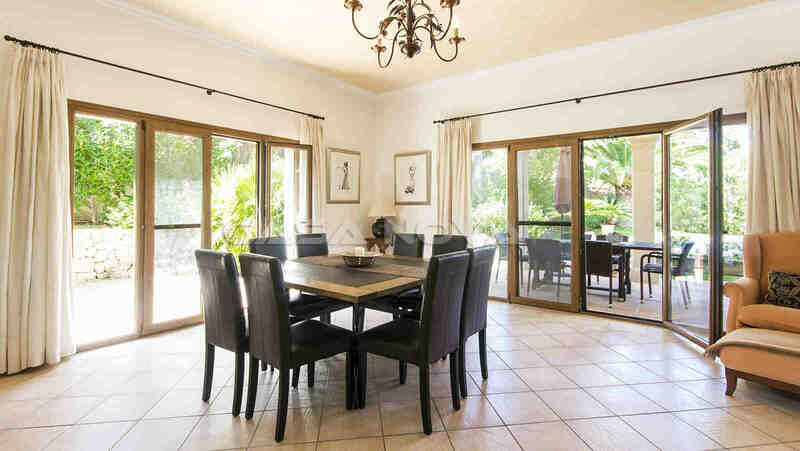 1023 m2 and has a built area of approx. 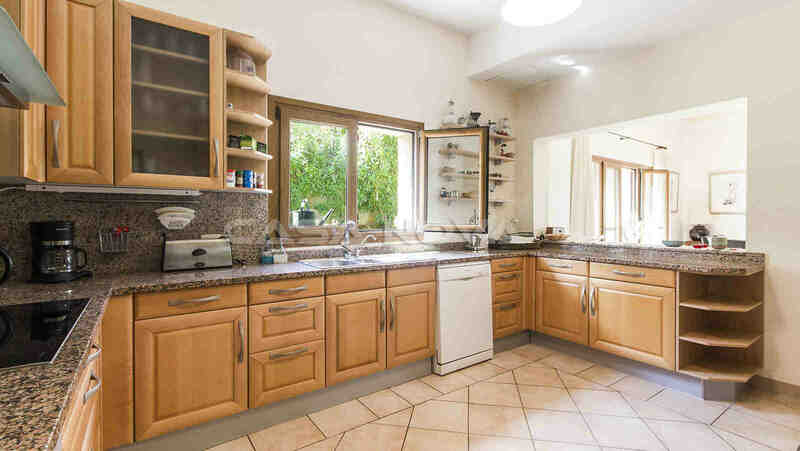 270 m2, divided as follows : a living room with its fireplace and adjacent dining room divided by a round arch, 4 bedrooms and 4 bathrooms en suite, a fully equipped open kitchen, utility room and a storage room. The outdoor area offers : a large pool, covered terraces of approx. 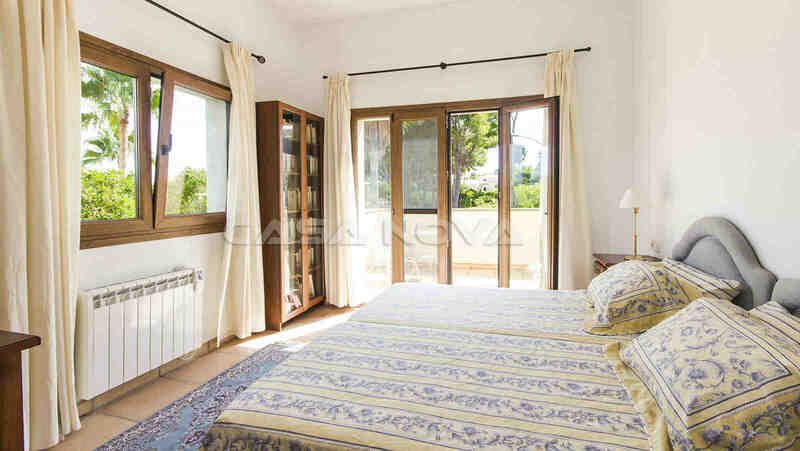 66 m2, on the first floor an open terrace of approx. 33 m2 with sea view. 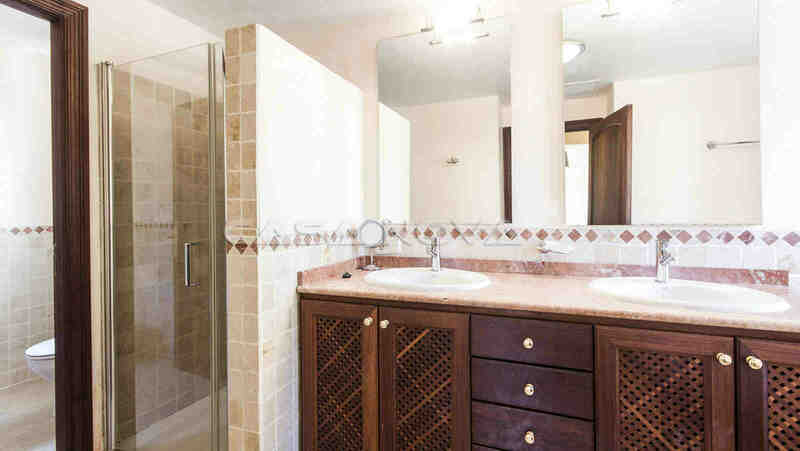 Further equipment are : electric floor heating at the first floor, marble heating in the bathrooms air conditioning h/c, built-in wardrobes, double glazed PVC windows, crockery and terracotta floor, automatic irrigation system, satellite TV. The furniture`s are available on request. There are also 2 carport places which can be converted into a garage and 1 electric access gate. There is the possibility to equip the villa with a lift. 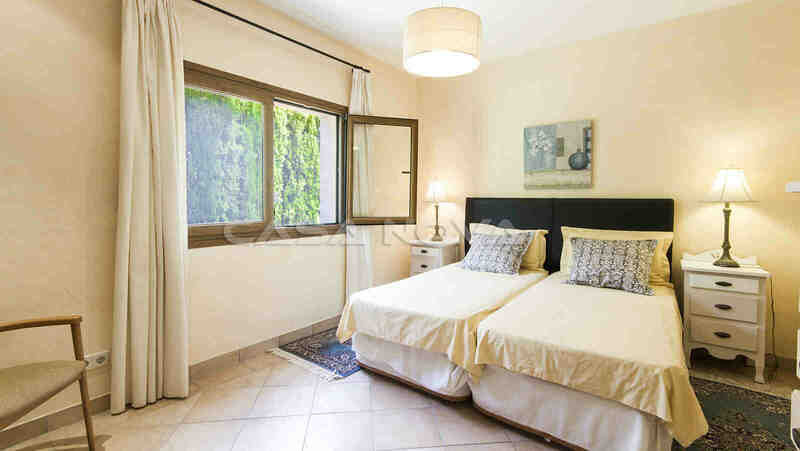 This Mallorca villa is located in a quiet and very popular residential area. Several golf courses are nearby. There are sandy beaches and marina ports within a few minutes`drive. The capital of the island, Palma de Mallorca is about 20 minutes away by car ; the airport of Mallorca is about 30 minutes` drive away. 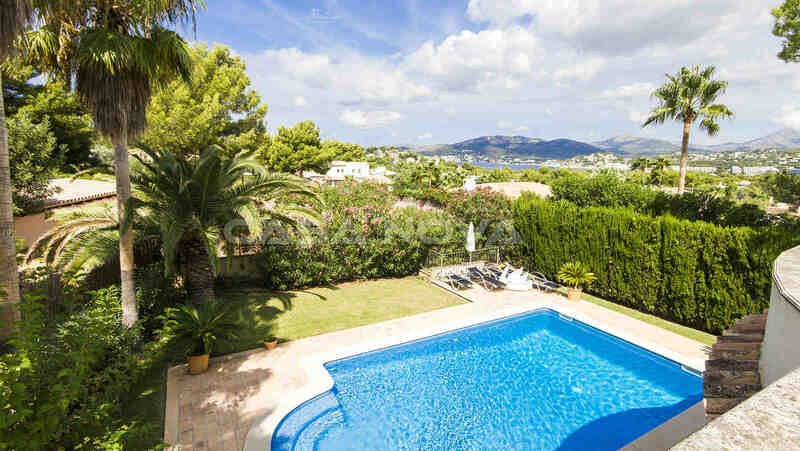 The center of Santa Ponsa with its good infrastructure is only about 5 minutes`drive away. 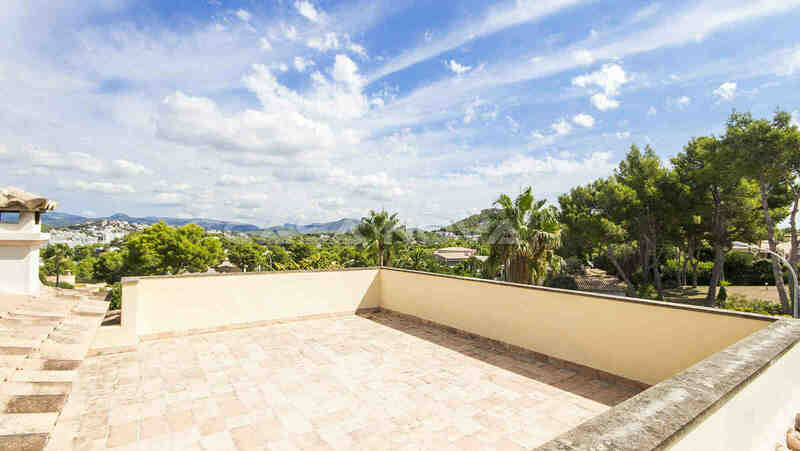 Real Estates Mallorca in the South West of the island is a good and valuable investment into the future. 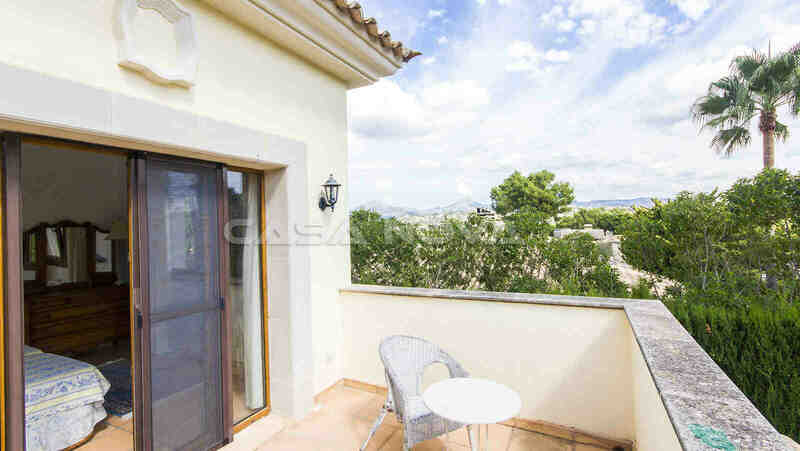 Please contact your real estate agency Mallorca, Casa Nova Properties in Santa Ponsa. There is no commission fee for the buyer.